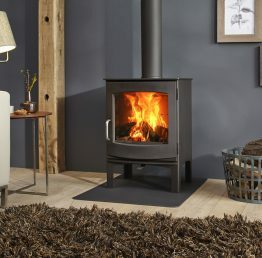 The Ivar 5 High EA is an adaptable freestanding stove with an optional external air connection that can burn wood, coke or coal ( with the optional multifuel kit). 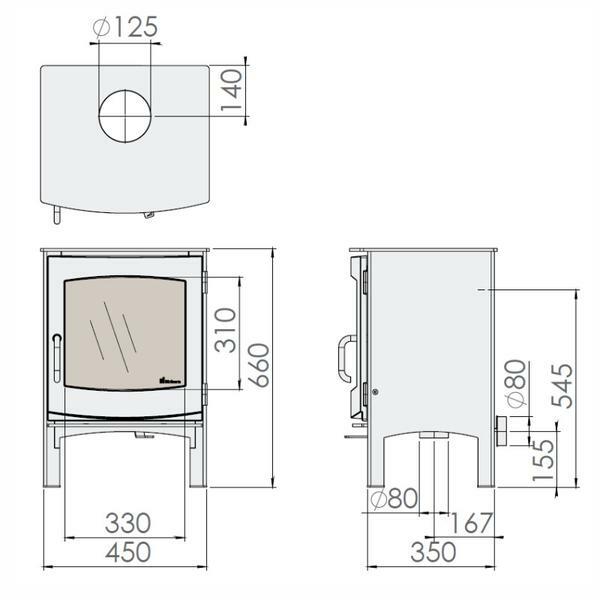 It has a large viewing window and a dark Anthracite colour finish. 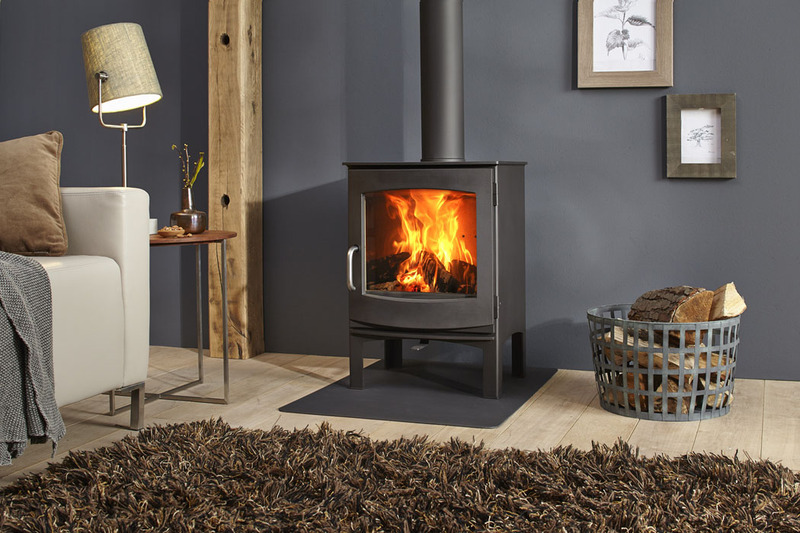 With a nominal heat output of 5.0kW, it is actually capable of a heat output of over 6 kW, it can easily heat a spacious room, but its low emissions qualify it for DEFRA approval in urban smokeless zones. It has a removable handle to ensure it keeps cool. The Ivar 5 is capable of taking a maximum log length of 33cm.